You know I love audiobooks, so I was happy to see the news that Jack Black and Samira Wiley (from OITNB) are each narrating the book Minecraft: The Island by Max Brooks (who wrote World War Z). 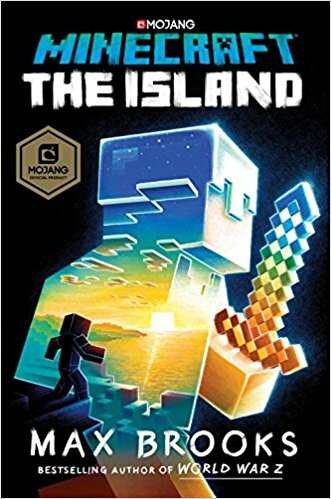 MINECRAFT: THE ISLAND is the first official Minecraft novel with the Mojang stamp of approval. In the tradition of iconic stories like Robinson Crusoe and Treasure Island, MINECRAFT: THE ISLAND tells the story of a new hero stranded in the world of Minecraft, who must survive the harsh, unfamiliar environment and unravel the secrets of the island. The top priority is finding food. Then it’s not becoming food. Because there are others out there on the island . . . like the horde of zombies that appear after night falls. Crafting a way out of this mess is a challenge like none other. Who could build a home while running from exploding creepers, armed skeletons, and an unstoppable tide of hot lava? Especially with no help except for a few makeshift tools and sage advice from an unlikely friend: a cow. In this world, the rules don’t always make sense, but courage and creativity go a long way. There are forests to explore, hidden underground tunnels to loot, and an undead horde to defeat. Only then will the secrets of the island be revealed. Do you plan to listen to either one, or both? Let us know in the comments.